﻿ English - תראו אותי! Vision: To increase awareness about personal appearance among people with intellectual and development disability (IDD) and the professional teams that work with them. To advance the perception of people with IDD as equals, while minimizing the obstacles faced by members of this community, encouraging their inclusion and integrating them in everyday social and occupational circles. To improve self-esteem and self-efficacy among program participants by providing knowledge, practical skills and language; to increase self-direction and self-advocacy in the field of personal appearance and, consequently, to facilitate growth in other life areas. To improve personal appearance among program participants in accordance with objective measures related to attire, hygiene and grooming. To generate change in the way professional teams and families perceive the topic of personal appearance in the IDD community, and therefore in the way they perceive the program participants themselves. To create an enabling environment in which personal appearance is seen as a legitimate and relevant tool for advancing and meeting the needs of program participants. To advance the professional development and empowerment of the professional teams. To unify team members and create collaborations with the teams of complementary service providers (housing/recreational/vocational). To provide team members with practical tools and techniques for advancing and guiding program participants. The Shalem Foundation was established in 1983 by the Federation of Local Authorities in cooperation with the Ministry of Social Affairs and Social Services. 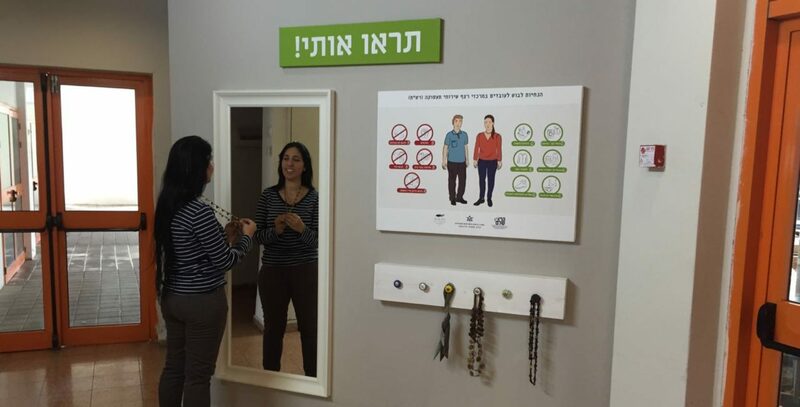 The foundation works to develop comprehensive services and resources for people with intellectual and developmental disabilities throughout Israel. Ruti provides consulting services and workshops in the field of personal image and branding, specializing in professional appearance and attire among individuals with special needs. She developed and now manages the “See Me!” program, in collaboration with the Shalem Fund and the Israeli Ministry of Labor, Social Affairs and Social Services, which aims to increase awareness about personal appearance among individuals with intellectual and developmental disabilities at vocational rehabilitation and training centers. Ruti is a recognized speaker on this topic at the Israeli Federation of Local Authorities, the Israel Association of Community Centers, Beit Issie Shapiro, the Willie & Celia Trump Campus, and other organizations. She is the founder of “Dress for Success” Tel Aviv, an NPO that works to advance the entry of women into the workforce. In addition, she is a publicist specializing in the area of personal appearance in the workplace, and writes columns for The Market and “At” magazines.